One thing I never really enjoyed in comics was the technique of using different fonts for the dialogue of different characters (I’m looking at you, Sandman). I much prefer what Jeff Smith’s fantasy series, Bone, did (even though he did use different typefaces for a few different characters…but they weren’t drastically different [again, I’m looking at you, Sandman]), which was to play with dialogue balloons. In it, a villain called The Hooded One crafted devious machinations to do bad things to the good people of the story. What I loved about the character was not only the wobbly line of the dialogue balloon but how the tail actually emanated from the hanging opening of the hood. It came across as creepy as cool as hell. 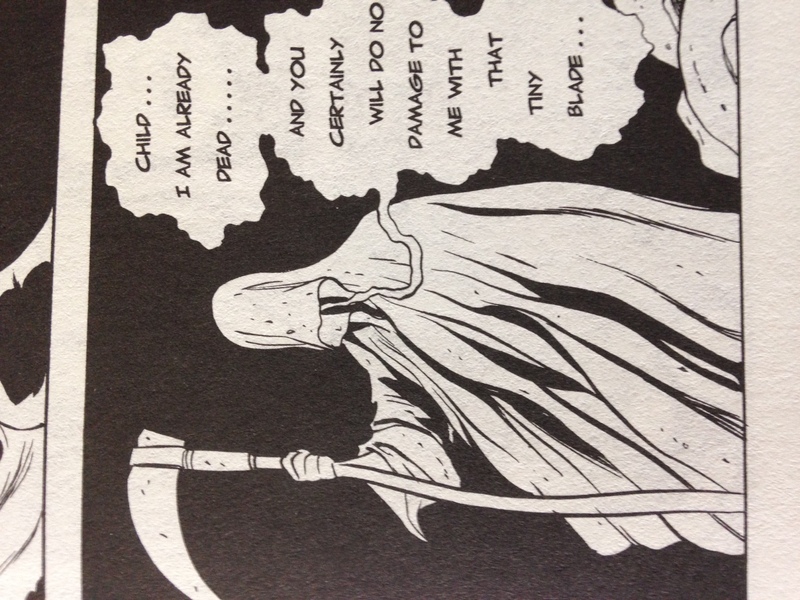 While both the Hooded One and this new character, Hellrider Jackie, echo western culture’s idea of death incarnate, I did want to pay homage to the coolest death-like character’s word balloons with Jackie; so, wobbly lines and trailing tails it is. 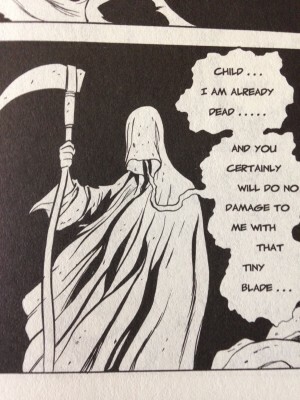 The Hooded One’s dialogue balloons from Jeff Smith’s Bone. And yes, I like to draw hands. This has been a thing since the third comic of Eben07. It’s what I do. I won’t tell you how to read the comic, but I find hands incredibly expressive and try to do as much with them as possible. That probably comes from my Eben07 days, as well, since I had two main characters whose eyes you couldn’t see. 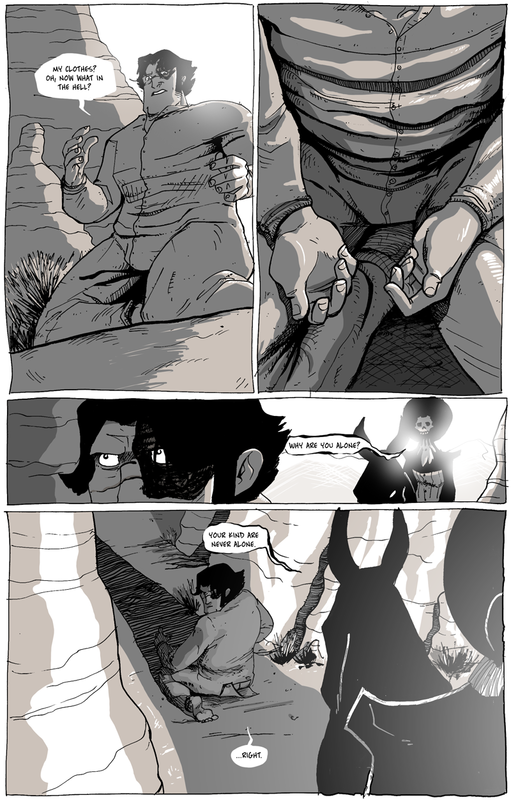 And, yes, that’s basically two crotch-shots right next to each other on a page. That, apparently, is a new thing I do. Metaphor, or something, right?